CPT® Coding Essentials optimizes both CPT and ICD-10 code selection with helpful CPT-to-ICD-10-CM crosswalks and detailed explanations of anatomy, physiology and documentation. 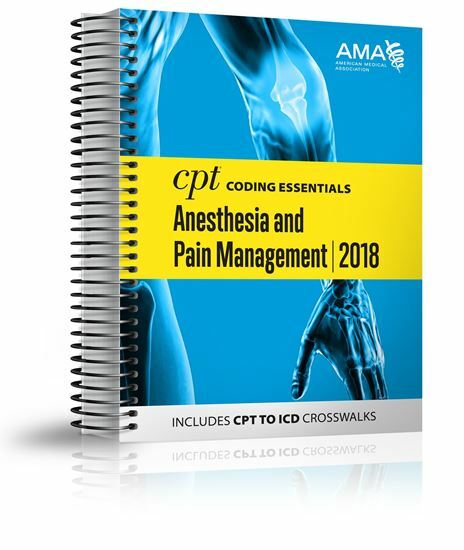 In addition, for the first time in the same volume, verbatim guidelines and parenthetical information from the CPT codebook specific to anesthesiology and pain management CPT codes can be found. This is the ideal daily companion featuring useful, definitive specialty-specific coding information beyond what is provided in a full procedural code book.